The trip went pretty dang well, but I got struck with issues on the way home (all this weather oh gosh), resulting in an additional page being missed. Ugh. But, I'm home now! Happy new year~ I hope y'all had some good end of the year holidays! I got fanart and a cameo whilest I was away! 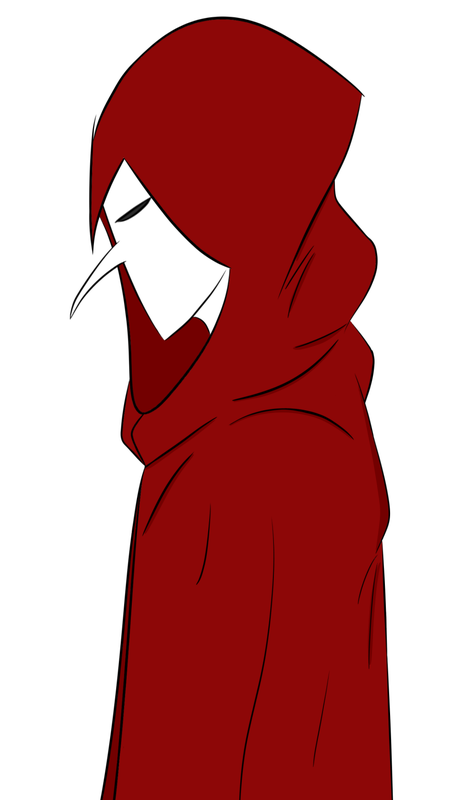 It's the mysterious Red Plague Doctor- And, at this point, I think the last biggest remaining mystery! Tee hee. Soon! But, gosh, They look so badass in this style, right? So menacing and SHARP! Now Benny and the Robot fight!!!!!!1!!! OK so that nightmare sequence actually happened somewhere. Good to know. If an alternate world really did solve all the problems we are all have, I'm pretty sure they're not the ones who wants to share all their secrets easily. So she killed her robot counterpart to stop information about their plan coming out, then a couple of hours later just told the plan? Wasn't the killing a LITTLE unnecessary? Oh, probably. But she's a slave to her programming, really. Huh, yeah, maybe! I've never seen, but I'm vaaaaguely aware enough of the premise, haha. He's basically a superhero now, solving alternate reality crimes by watching them happen and not really being able to help. Makes sense though. Parts of his hypothesis were already proved. If you can see what happened or what is going to happen in another universe then you might adjust events now so that the outcome will change bit by bit until you arrive to the optimal one - I guess the one Ben has to decide for now. Wow, this page has some big info. I don't know if I'd like the ability to peek into alternate universes. I have enough problems trying to remember what is going on in my current timeline. Wow! What an interesting skill to have. I think it would be a great way of coming up with story ideas (just peek into another universe and bam the ideas start coming). Glad you had a fun trip. The weather certainly has been all over the place.